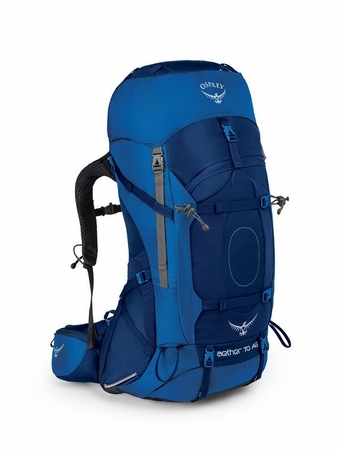 """For backpacking, thru-hikes and alpine expeditions, the Aether AG Series has a pedigree like no other pack. We set the bar for technical backpacking packs by combining Anti-Gravity technology with customizable fit and innovative features like our new convertible top lid to create a more capable and comfortable pack for long-haul load carrying on any multi-day excursion.When you need a pack that can carry heavy loads for up to a week or more, there is no better option than the Aether AG? 70. Haul your gear to basecamp, remove the top-lid and deploy the impressively functional DayLid? to summit a nearby peak or backcountry picnic. XL 4638 in3 / 76 l 37.4h x 15.75w x 13.39d in. 5.319 lbs. "" NOTE: Due to this item's size/ weight, there will be extra fees if you select a faster shipping method than UPS Ground in which we we will contact you before shipping your item(s) with a shipping cost quote.